Dubai: Dubai’s Roads and Transport Authority (RTA) on Saturday said 80 per cent of road works leading to ‘Jewel of the Creek’ project, undertaken in collaboration with Dubai International Real Estate, have been completed. The construction of road works and underpasses for the project are scheduled for completion by the end of June. The announcement came from Mattar Al Tayer, RTA’s director-general and chairman of the board of executive directors. The project, which lies between Al Maktoum and Floating bridges, will be a tourist destination on the shores of Dubai Creek. Al Tayer made the statements during a site visit of the project, which includes the construction of entry and exit points of the Jewel of the Creek. The project also includes the construction of a footbridge extending 81m over Baniyas Street by the last quarter of this year, together with other lighting works and protecting and shifting the existing utility lines, Al Tayer added. 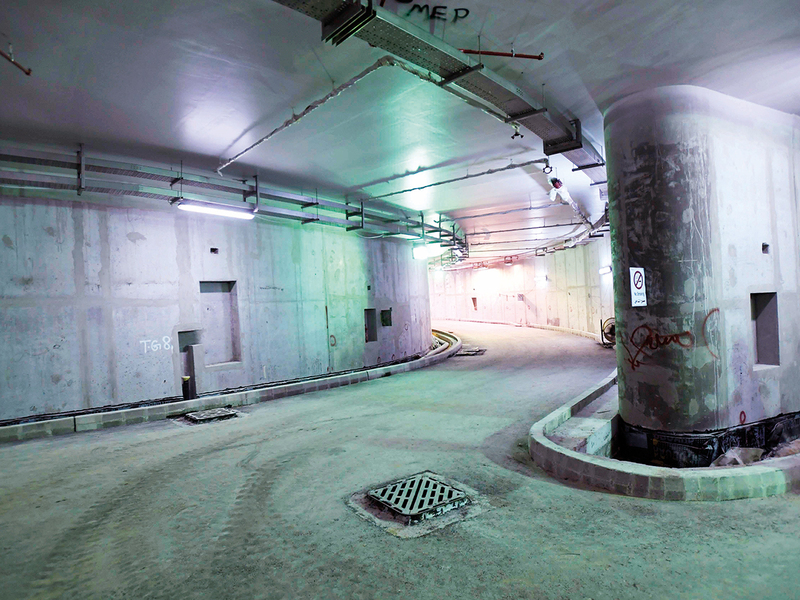 The northern access of the project comprises entry points to the basement parking through the tunnel for traffic bound to the west of Baniyas Street and the traffic inbound from the slope road of Al Maktoum Bridge. It also includes exit points for the basement parking through the tunnel to Baniyas Street towards the east and west, in addition to exit points to the north-east leading to the sloping Eastern road from Al Maktoum Bridge to Baniyas Street. The Jewel of the Creek project encompasses a five-star hotel with 438 rooms, four residential towers comprising serviced apartments, 20 restaurants, a man-made lake, and a waterfront promenade and marina for 65 berths. The project also includes a three- and four-star hotel, two connected residential towers comprising featuring an Arabic-Islamic design, a mini-mall, and a parking space for about 6,000 vehicles.